Mons Cabinet - White x White - Antique and Fine Decor for the Home. 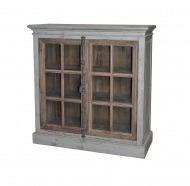 Mons 2-door cabinet is made of reclaimed solid pine and has two doors with glass. Rustic gray finish iron hardware. 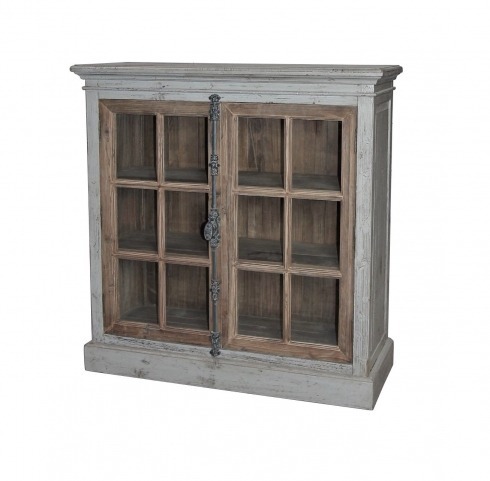 Two non- adjustable shelves inside. 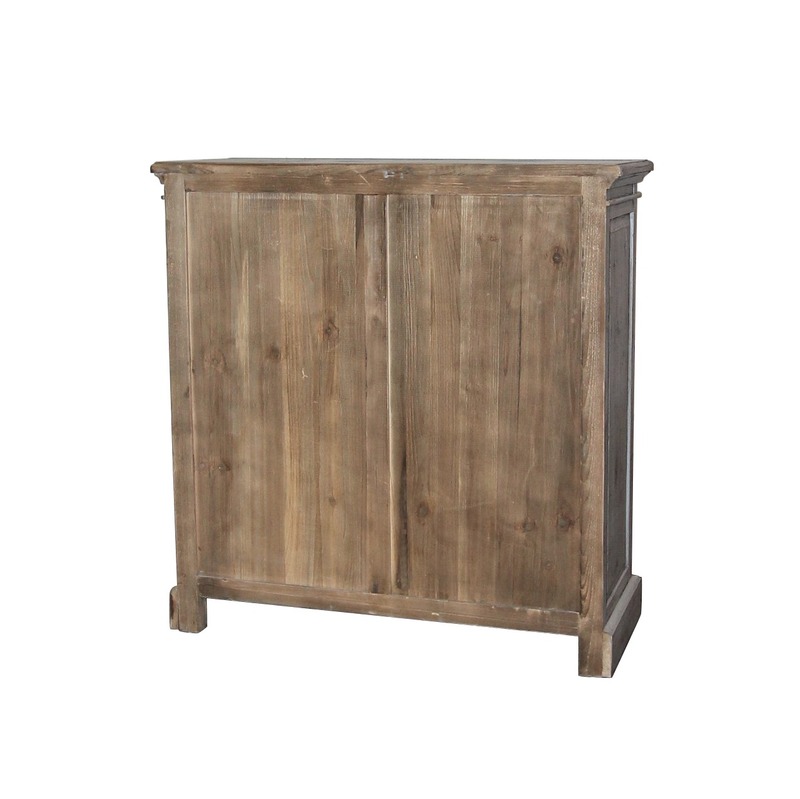 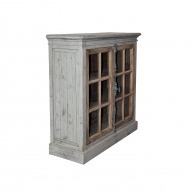 Finish as shown in distressed gray paint with doors in natural color pine. 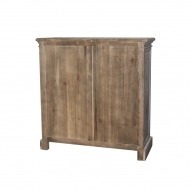 Reclaimed pine by nature will likely have nail holes, knots and other imperfections, adding charm and character.